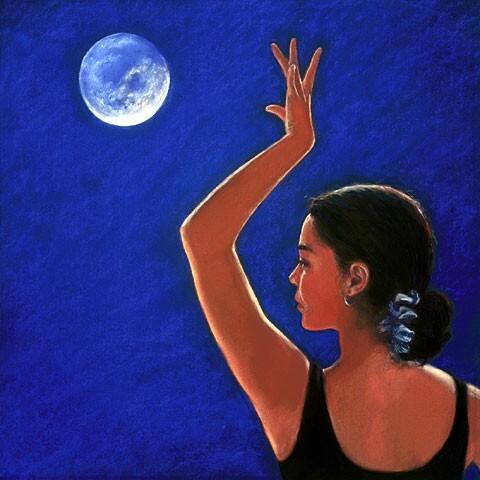 pastel painting of a flamenco dancer by the full moon. 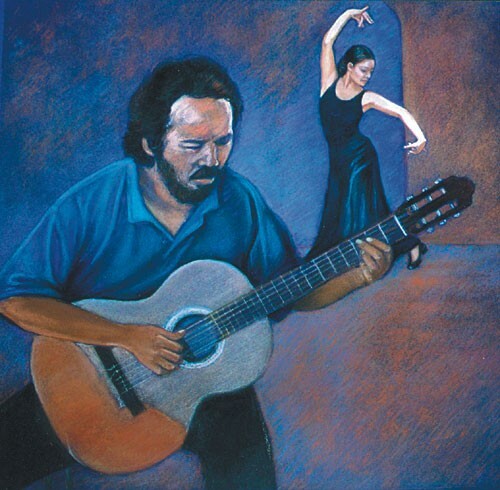 "Flamenco dancer and the Guitarist"
Flamenco is such a passionate and moody music. 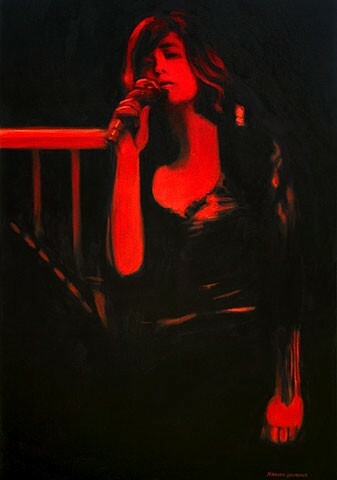 In this Pastel painting, I have expressed an interaction with a flamenco dancer and the Spanish guitar. 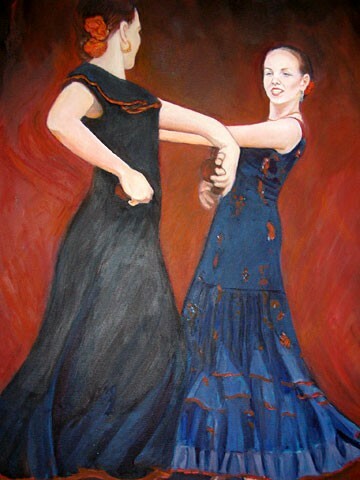 Oil painting of flamenco dancers and friends Amity and Estelle dancing the Sevillanas together. 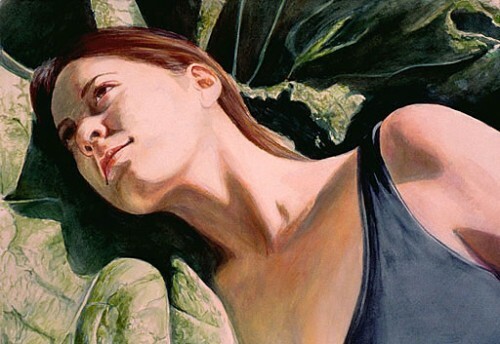 Watercolor painting of Angie set in a Victorian garden.